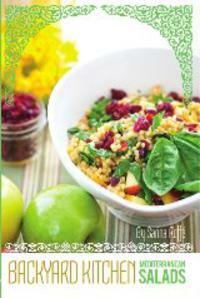 Sarina's Sephardic Cuisine - Kosher Family Recipes - I love love love Mint! I love love love Mint! I love love love mint and find it adds such a special flavor to my cooking. It grows like a weed in the garden and is easy to dry and store for the winter. Dried mint is easy to find. And you find mint in the funniest places – in your toothpaste and mouthwash, for example – and it makes your mouth feel so clean! Mint in tea is good for the digestive system. Try adding some fresh mint to chamomile tea, it relaxes the stomach muscles and alleviates ulcers and indigestion. It even helps with headaches and can boost the immune system. However, if you are taking prescription meds, be careful as some scientists report there may be some interaction. Lately, I have been adding mint to my basil herb pesto, and my salads. The mint adds a nice punch. Also, soups – try adding some fresh chopped mint to tomato rice soup and tomato basil soup. Wow! Delish! Especially if you couple it with a squeeze from a fresh lemon.